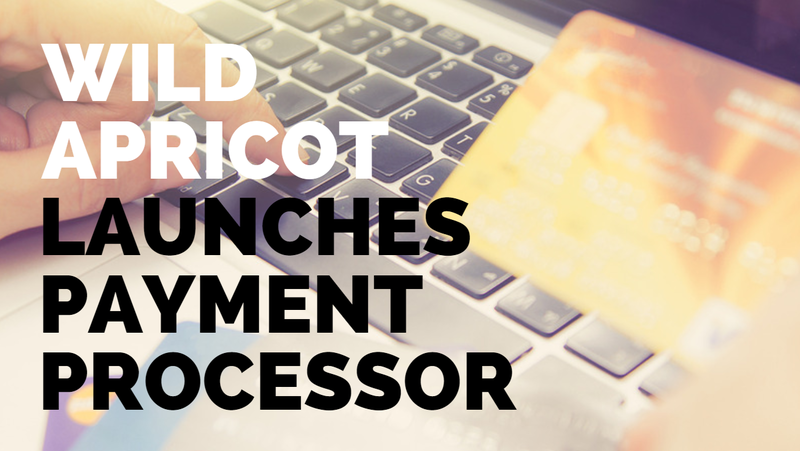 If you’d like to accept payments directly through your Wild Apricot website without having to send members to a third-party payment processor, stay tuned — Wild Apricot is launching its very own payment processor, Wild Apricot Payments, on March 12, 2018. With Wild Apricot Payments, you can accept online payments for membership, events, sales (through our Online Store coming April 3, 2018), and recurring payments. You will receive integrated, one-stop support for both Wild Apricot and Wild Apricot Payments. Your members and customers will not be directed to another site for online payments. They will stay on your Wild Apricot website. Payments are directly transferred to your bank account within 48 hours. You can apply for Wild Apricot Payments directly within your Wild Apricot dashboard. There’s no need to search for another provider. Please note: currently, only US and Canadian residents may apply for a Wild Apricot Payments account. If you are in another country, we offer support for a number of third-party payment processors that you can use. See here for the full list. For full details on Wild Apricot Payments fees, please click here. What Will Wild Apricot Payments Look Like to Your Members and Customers? Who is Wild Apricot Partnering with to Offer Wild Apricot Payments? Wild Apricot is partnering with AffiniPay to offer Wild Apricot Payments. AffiniPay has offered a trusted and secure payment processor gateway for the association market for more than a decade. They are also compliant to the highest standard of PCI compliance (Level 1 PCI Certified) as set by the Payment Card Industry Data Security Standard. After March 12, 2018, you will be able to set up Wild Apricot Payments for your account. Click here for full instructions. If you have questions, or need help setting up Wild Apricot Payments for your account, please contact our support team. PayPal has a non-profit rate of 2.2% + $0.30. Do you have a non-profit rate? Hi Suzanna, right now we are not offering a nonprofit rate. A nonprofit rate would be REALLY nice! I am also interested in the recurring (AKA scheduled) payments. We (SCWDC) offer our members a payment plan for our ski trips (advance deposit + 3 installment payments). We figured out a way to accomplish this by manually manipulating the invoices and email notifications, but it was very cumbersome. After switching from Paypal to Authorize.net, we gained the ability to send payment invoices for any amount directly to our members. BIG improvement! Will we have a similar capability with the new WA Payment Processor? Hi Gary, thanks for the feedback. I'll be sharing it with our team. Will this option make refunds and cancellations automatic as well? 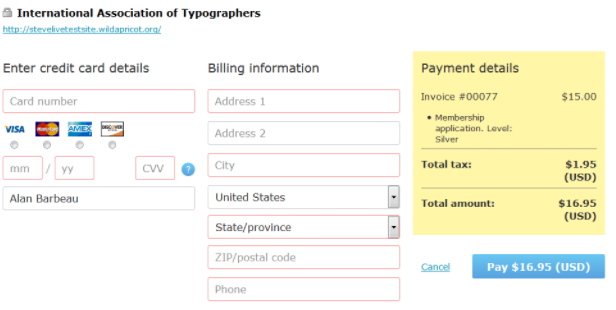 According to the Affinipay website (https://affinipay.com/features/), the "Quick Bill" feature sounds almost identical to the Authorize.net invoicing feature. If that is the case, we will probably be interested in switching. I am also encouraged by the feature descriptions for refunds and for recurring payments. Will we have an option to order a swiper to connect to a tablet? We sell t-shirts and the like at our events. It would be awesome to have them in the new WA store and also be able to sell them at events. You'll be able to take payments at events the same way you are currently doing so (on your phone or desktop). We will not be providing a swiper. If you are already set up using Square and have their swiper, that is one option. The transaction fees are charged in whatever currency your AffiniPay account is setup in (so, if you're using CAD, it would be in CAD). No, there will not be automatic refunds. After refunding in AffiniPay, you will need to manually record the refund in Wild Apricot as well.